This week Competenz hosted members from the Auckland Māori and Pasifika Trades Training Initiative (AMPTT), as well as Māori and Pasifika project champions Sam Sefuiva and Sir Pita Sharples, and Anthony Tu’itahi from Oceania Career Academy to discuss how we can better support Māori and Pasifika learners through their training. “We were keen to know more about how the AMPTT initiative operates, the key features and benefits of the initiative, and how Competenz can take advantage of the initiative to benefit Māori and Pasifika learners,” says Competenz Māori and Pasifika Manager Iani Nemani. A key topic discussed throughout the meeting was the importance that whānau play in a learner’s training. AMPTT navigators Awhina Kanohi and John Kotoisuva said whānau need to be part of the training journey from the beginning. Pastoral support is also important to all Māori and Pasifika learners. Awhina and John spoke on the wraparound approach to supporting learners not only before getting an apprenticeship, but throughout their training to ensure they are ready for work. Sir Pita Sharples expressed his concerns about the high unemployment rate for Māori and Pasifika. “We need to come to terms with the imbalance in unemployment for Māori and Pasifika, especially in the next few decades,” Pita says. AMPTT Project Manager Kirk Sargent says the meeting was a good opportunity to align the needs of Māori and Pasifika learners, as well as the needs of the trades industries. “We are clear that we need to respond to the opportunity that the current economic climate and the boom in construction is enabling. This is having a flow-on effect, but we must be proactive and demand-led. This is good for employers, good for trainees, and good for community,” Kirk says. 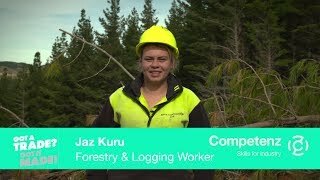 The Māori and Pasifika Trades Training: Auckland Initiative currently has around 520 students who are supported by industry training organisations (ITOs) like Competenz, polytechnics and industry into a career in trades. For more information, please visit the Māori and Pasifika Trades Training website.